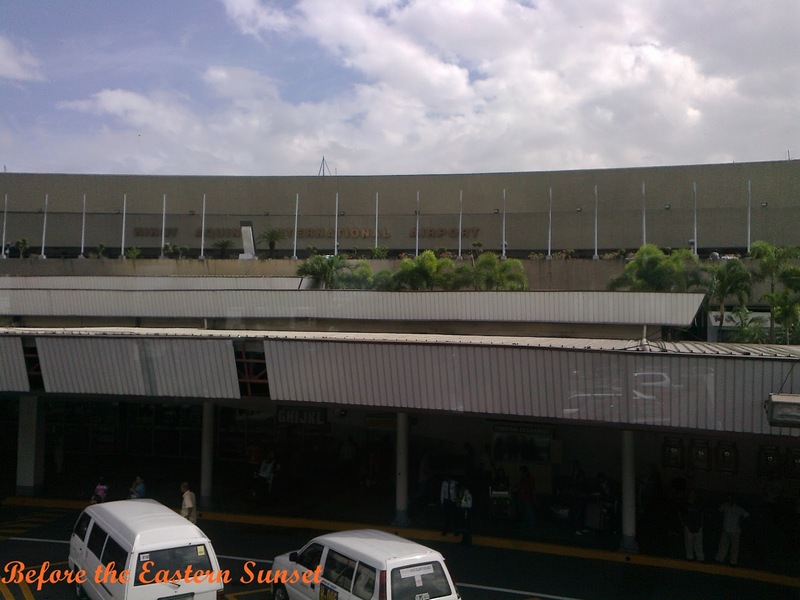 Last October, the Ninoy Aquino International Airport (NAIA) made news for being voted as the world's worst airport. The focus of this news is the NAIA Terminal 1, which serves as NAIA's international terminal. Many people complained that NAIA Terminal 1 of lack of comfortable seating, bribery, unclean toilets, poor facilities, rude staffs and other things. I got the chance to see the condition of NAIA Terminal 1 with my own eyes when I went there for my flight to Australia. What I saw is not encouraging and I agree with some complaints raised against NAIA Terminal 1 last year. 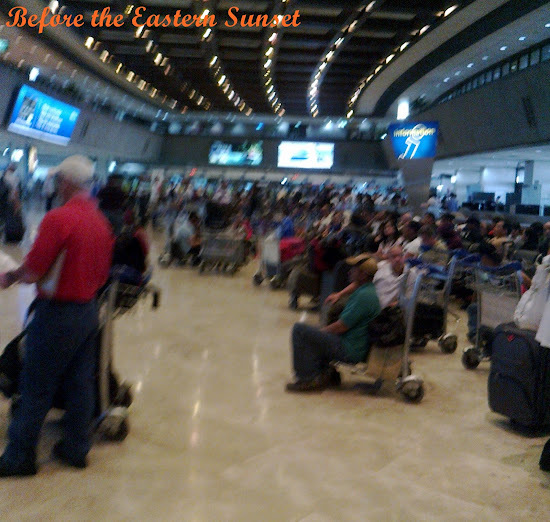 I took a walk around NAIA Terminal 1 while I am waiting for my flight. I can say that the terminal is not terrible when it is compared with other airports in the Philippines. I have seen worse airport at the provinces. However, foreign tourists are not happy with this terminal because they have seen grander airport in other countries. My first impression with NAIA Terminal 1 is that it is old, very old. The lighting inside the terminal is dim. Seats inside NAIA Terminal 1 is inadequate and a lot of people had to sit on their carts. I also took a peek at their toilets and I can say that malls have better toilets. NAIA Terminal 1 has few amenities as compared to NAIA Terminal 3. The international terminal has a Duty Free Shop at the top floor but that is all. I think that NAIA Terminal 1 should copy NAIA Terminal 3. The international terminal should lease some space for fast food restaurants so that passengers have something to do while waiting for their flights. My feet took me outside of NAIA Terminal 1. I reached the waiting area located in front of the terminal building and saw a many people waiting for their balikbayan relatives. Food stalls, which sell cheap foods, and a Jollibee stall are located at the waiting area. 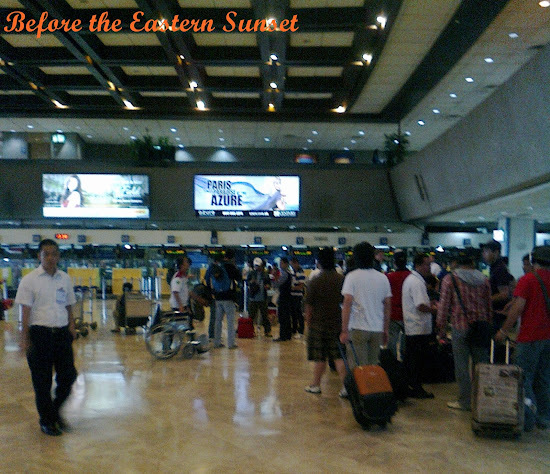 It is almost time for me to board the plane when I return to NAIA Terminal 1. I believe that the administrators of NAIA has a lot of work to do to improve NAIA Terminal 1. I suggest that they demolish this old terminal and replace it with a modern one. I am sure that foreign tourists and OFWs will like it when they are welcomed by an international terminal that's spacious, clean and has courteous staff. My plane to Kuala Lumpur is waiting. I am off! See you in Kuala Lumpur Airport in the next post. 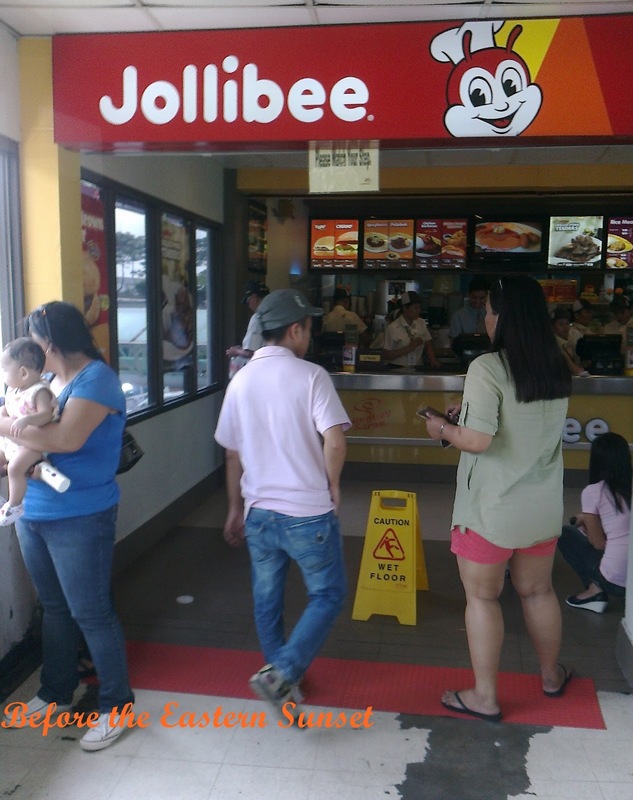 Visit Ahab Reviews and Tips and know how to order on Jollibee Online Delivery. Gosh!!! What a crowd!!! Looks quite good though. You're going to KL? Holiday? 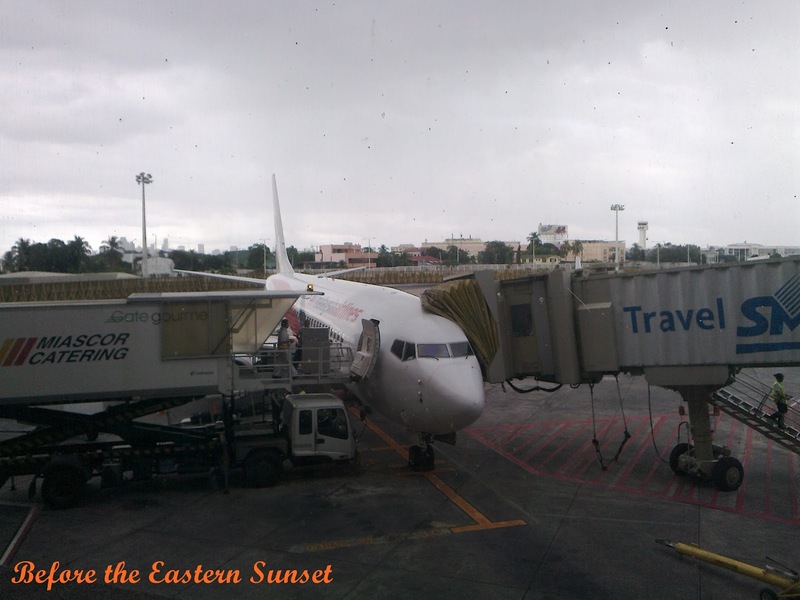 Hop on an Air Asia flight to Sibu... I'm here! Hay oo dati na yang mga complaints na yan about NAIA Terminal 1 wala namn umaaksyon! Wow magbabakasyon ka pala! Happy trip! Sorry, I forgot to mention that this travel was done last year. I am just late in posting. I only went to Kuala Lumpur Airport for a stop-over. I did not got the time to go sightseeing in the city. Kaya nga eh. Pero sa tingin ko gumagawa ng remedyo yung pamunuan ng NAIA Terminal 1. Ang masaklap ay remedyo lang 'yung ginawa nila kaya kulang pa din 'yun. Hindi po ako magbabakasyon. Last year pa po 'yung byahe na ito. Late lang 'yung posting. That is my hope too Foong. Saw your comment about our NAIA 1 post. Oo nga. Parang halos pareho yung photos! Hehehe! At different angles nga lang. Means tagal na talagang nde nababago ang NAIA 1. Hay! Kelan kaya noh? Sana nga hindi pabayaan para hindi mabulok.